The road to financial stability is not an easy road to take. 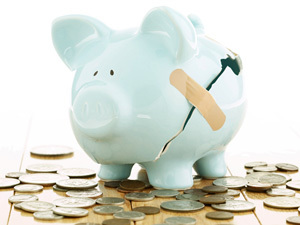 You are bound to deal with setbacks in the long run, and there may even be times when your finances run staggeringly low. In order to avoid getting yourself in such risky situations, it is important that you figure out the best option you have in storing away your money and savings. 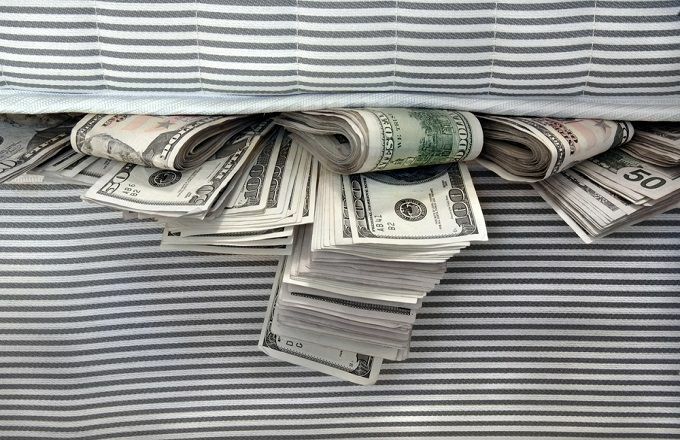 Why should you not consider placing your money under the mattress? While this is one way to hide your money, it is a very unwise decision to make. In the event of a thief break-in, your mattress is among the places which will be inspected. The same thing goes with digging up a hole in your backyard to stow away your cash savings in a glass jar. Your money isn’t gold that should be put under the ground. If anything, you are signing yourself up for the destruction of your money’s physical condition — and you can think of it as wasting your money instead. 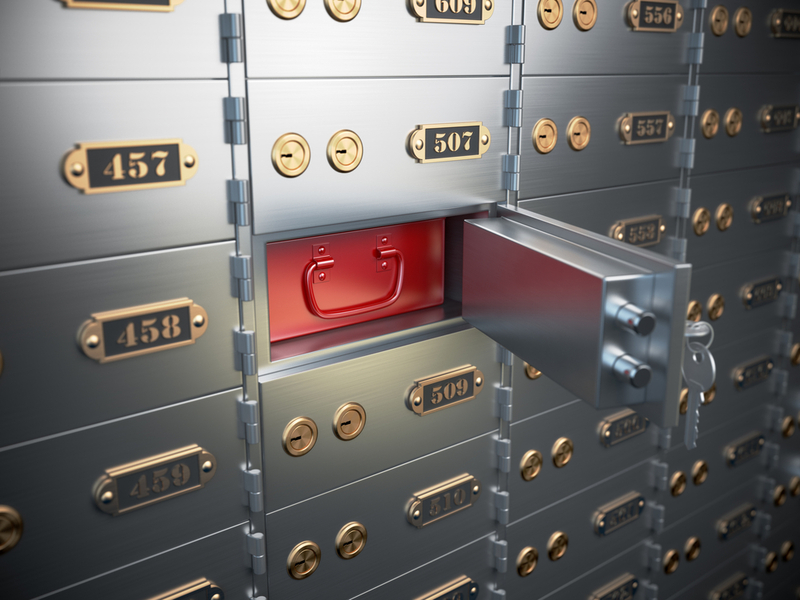 Stashing your cash in a safety deposit box is a smarter move than hiding it under the mattress or burying it under the cold hard ground. Having a safety box is ideal if you want to be secure, but it still doesn’t do much. It doesn’t earn you interest from your money and it only makes it stink. In the event someone successfully hacks their way through your passcode combination, your money is at risk to be stolen as well. Trusting the bank with your money is still encouraged especially if you want to generate interests in the long run. A savings account is a good place to start. Though it doesn’t pay high interests compared to other accounts, you can still be ensured your money is in good hands. 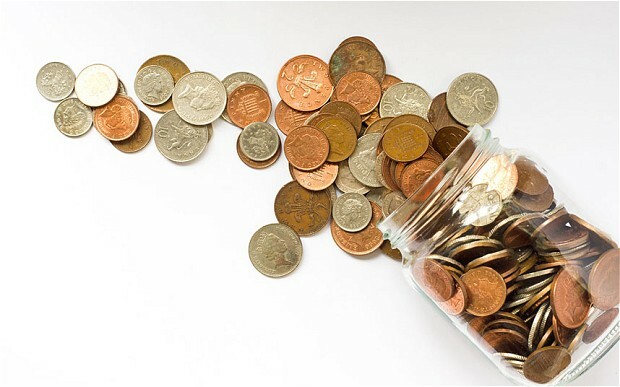 A savings account can also enable you to go around cashless, meaning you can withdraw money only when you need it. You can also use your savings account card to pay in some major establishments. After years of working, the income you’re generating may enable you to convert to a high-interest savings account. 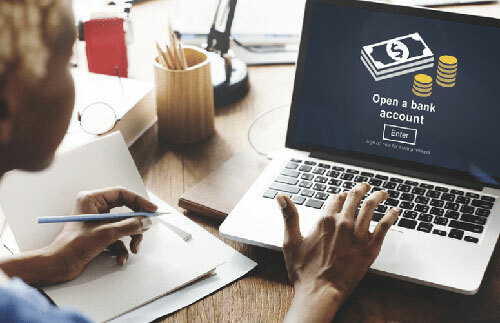 This is ideal if you want to generate greater interests over the course of time since this type of account yields a higher interest rate compared to your standard savings account. The money you can get off interests can be used for investments, starting a small business, availing a life plan, among others. Regardless, it also requires a larger amount for your initial deposit — and you might want to prepare for that. Humans as we are, we all have bad habits. Since it is bad, there will always be consequences but you know what bad habit makes a long-lasting consequence? The answer is simple – bad money habits. 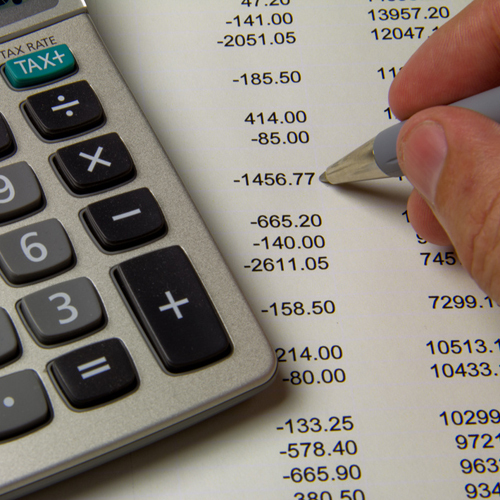 If you poorly managed your finances because of bad money habits, you are in great trouble. You will not live in prosperity for long. Do not live beyond your means: The secret of successful people is not spending or living beyond their means. 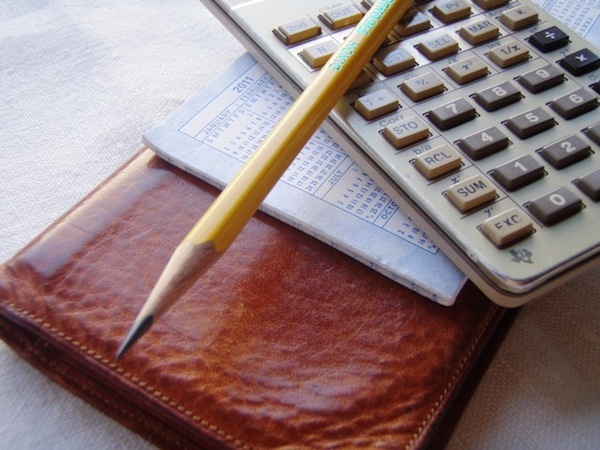 You will know if you are living beyond your means if you have a lot of debts and out of cash. Your desire to keep up with your neighbours can have an impact on your finances. 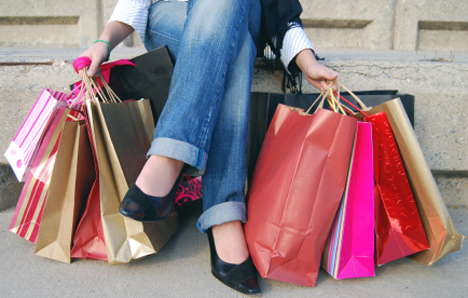 In simple words, do not overspend. Do not buy items you will not use: You have to think before you avail or buy things. Buying things that you will not use will be useless and a waste of money. For example, you signed for a gym membership that you rarely use or paying a cable package when you seldom watch it. The best solution is to write an inventory of where your money is going. You have to think of what to continue or discontinue. Do away with impulsive buying: Impulsive buying is purchasing a good or service without thinking whether you need it or you can afford it. Yes, resisting the urge to shop is challenging but you have to overcome it if you do not want to live in poverty. Do think about your savings: There are people who ignore the importance of saving. This is not good. You have to see and realize the importance of saving. When you put money aside for “rainy days”, you will not have problems. For a start, you can cut costs. Hopefully the things above can help you with your money problems. We all struggle at some point in time but the difference is that there are people who manage it better than us. If you are really serious about breaking your bad money habits, it is time to act. The Singapore Police Force (SPF) is seriously reminding the public to stay away from unlicensed moneylenders. 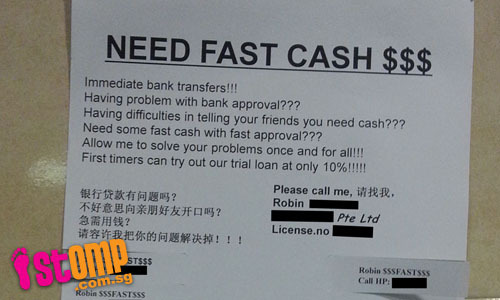 In colloquial term, unlicensed moneylenders or loan sharks are called Ah Long. SPF announced that harassments made by Ah Longs reduced since 2009. In the last three years, SPF managed to arrest a number of people for illegal money lending and harassment. This is the proof that SPF is relentless to tackle the situation and eradicate the menace caused by these people. 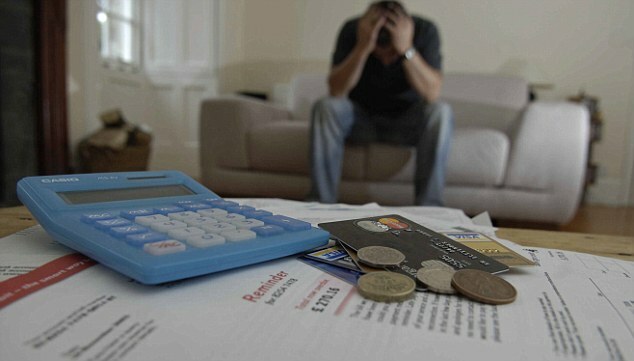 The FSC can be a great help for families dealing with debts and gambling problems. This is not a financial or banking institution but the organization will help families with their debts by providing counselling. You can call them at 1800-222-0000. If you need of credit counselling, you should look for Credit Counselling Singapore. The organization will help you with your credit issues. Do not hesitate to ask for help. You can call them at 1800-225-5227 for more information. The NCPG is an institution that can help you with your gambling problems. Dealing with gambling problems is not easy. You need all the help you can get before you lose everything you own at the end of the day. You can call them at 1800-6-668-668. NAMS will help you with your addictions. You need people that can understand you and help you to be better. You can call them at 6-6732-6837. Do not hesitate to come to them for help. If you have information about loansharking activities, you should call the police. You can reach them at 1800-255-000 or you can simply dial 999 if you need immediate assistance. 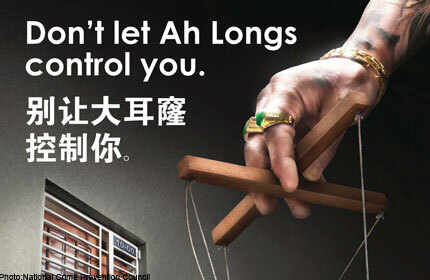 If you are worried that Ah Longs will get back on you, do not worry because the police can keep it confidential. You only need to call the NCPC (National Crime Prevention Council) number at 1800-924-5664. The best way to keep away from Ah Longs is not to deal with them at all. They may provide easy solutions to your money problems but you have to think of what it will cost you.